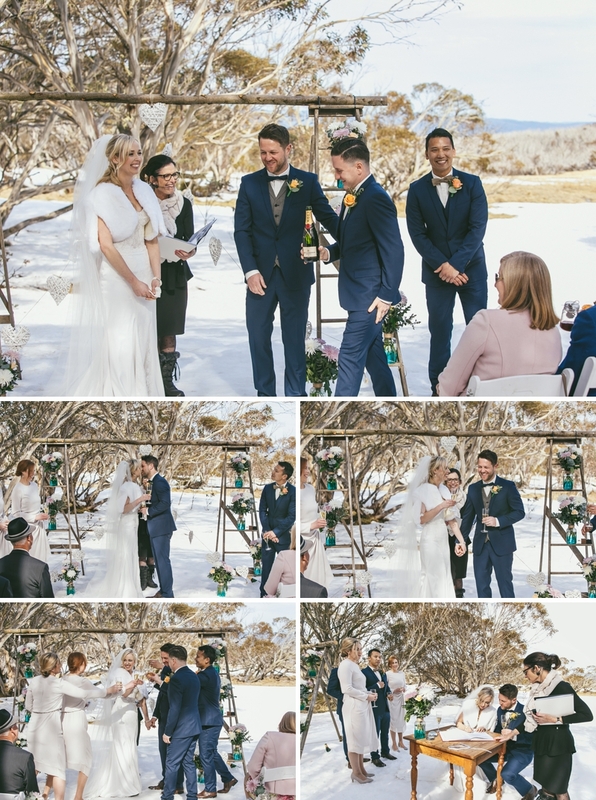 When Tara & Ryan wrote the script for the day they said “I do”, “I will” and all the other personal promises they made to each other on their wedding day, the only word that comes to mind is perfection. 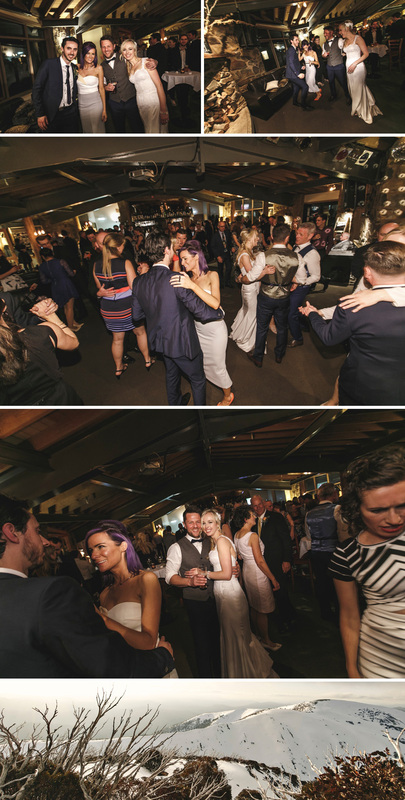 Everything about their day was so well put to together and it showed through on everyones smiling faces. 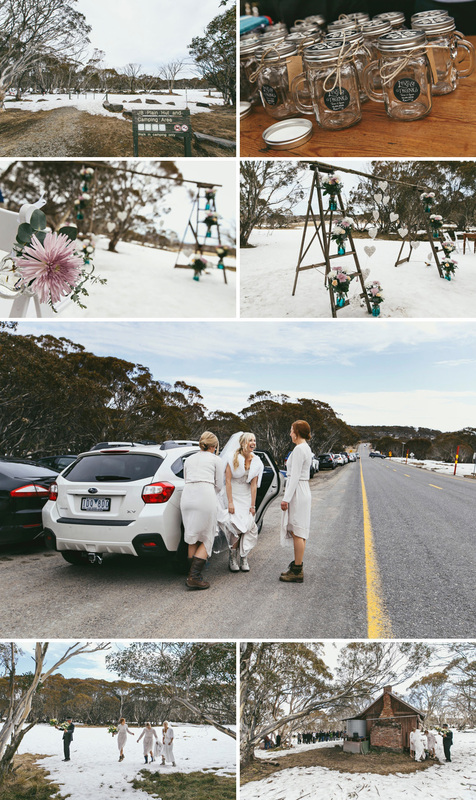 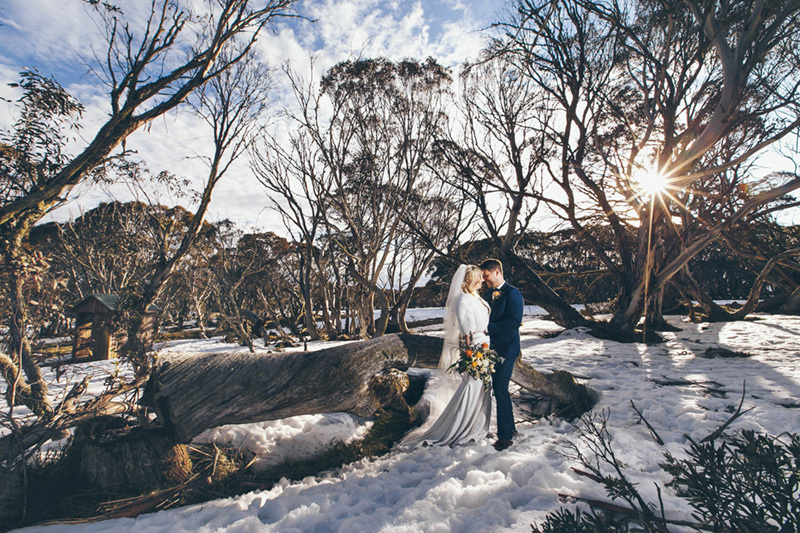 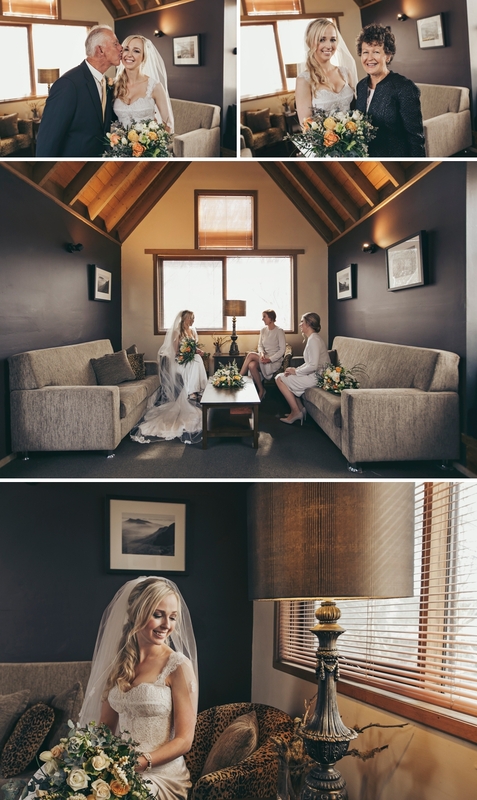 Tara’s girls may have worn snow boots to walk to the ceremony behind JB hut, but they were absolute troopers, for most of the day in their knee length dresses and heels, falling through at times waist deep snow…. 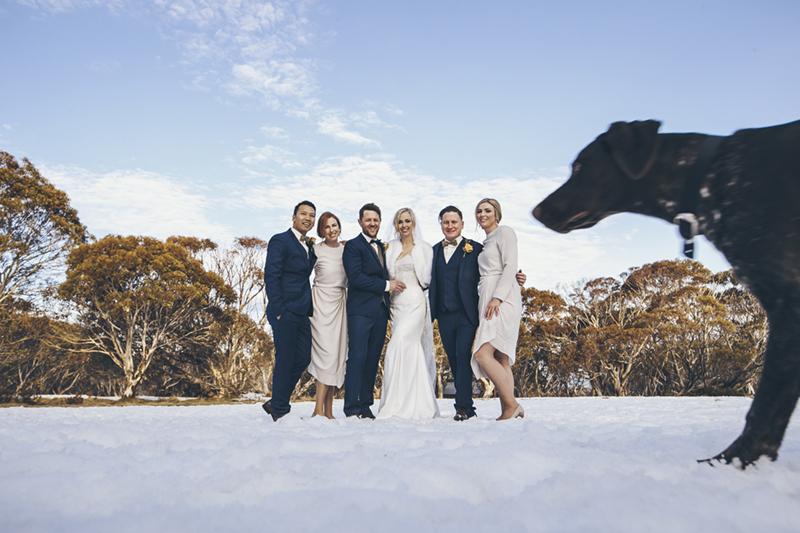 even making friends with a campers dog, which may have photo bombed a few times (see giant dog pic). 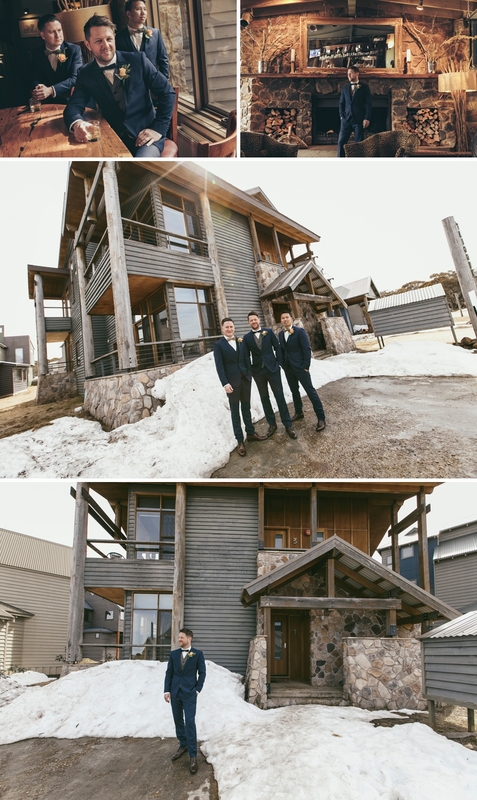 Rundells Alpine Lodge was the perfect location for the reception where Tara & Ryan mingled with their guests for drinks and canapés before a sit down meal and relaxing before the party really got started (with a DJ that was dressed like he’d been thrift shopping with the Village People) and went in to the wee hours…. 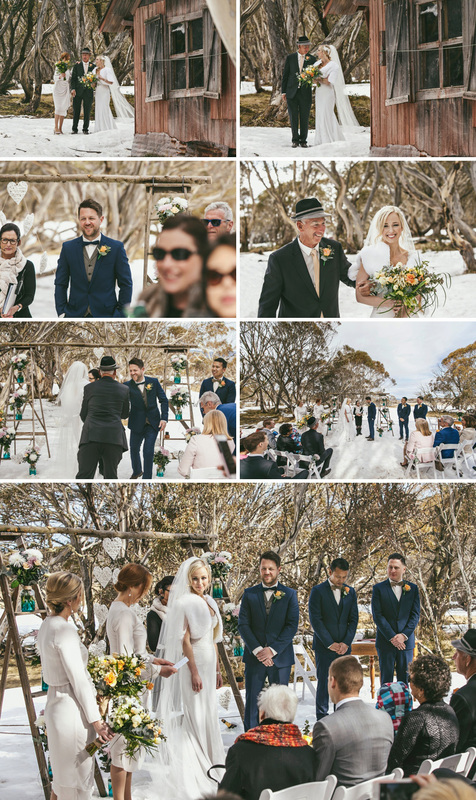 We are so honoured to be there to witness and of course capture their happiness, we had great time hanging with these cool peeps over their wedding weekend in the snow. 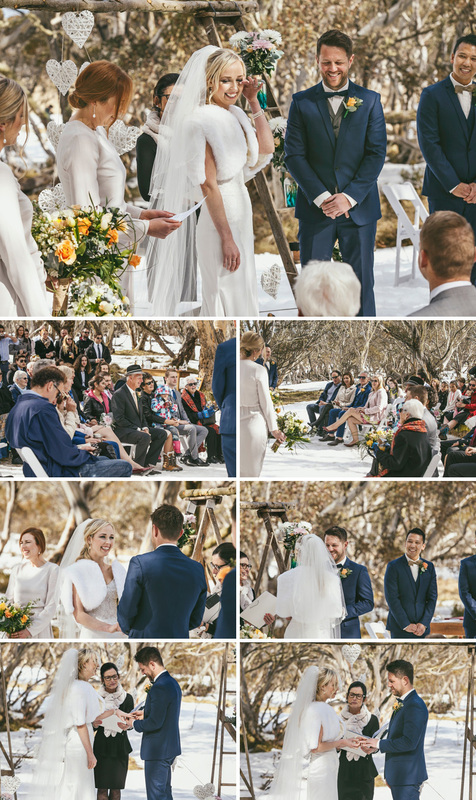 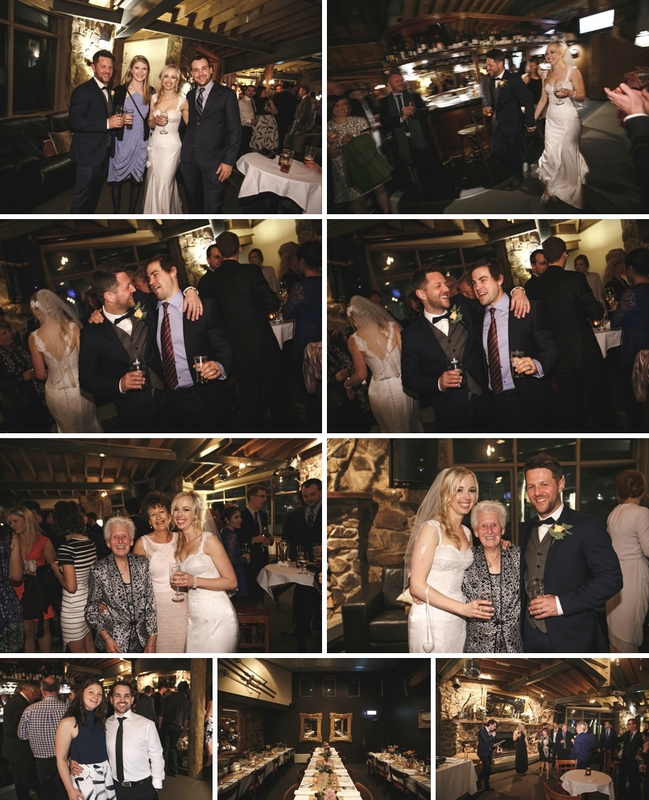 I hope you Enjoy Tara & Ryan’s wedding story. 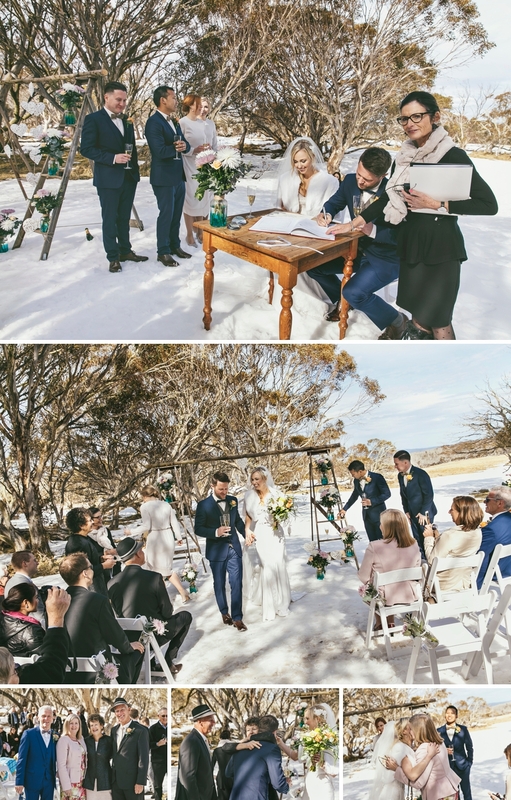 What a perfect couple !